Disobedient Media has consistently reported on the ongoing isolation of Wikileaks Editor-In-Chief Julian Assange within the Ecuadorian embassy in London. At the time of writing, 80 days have passed since Assange has been able to receive visitors, make phone calls, or communicate with the outside world, effectively transforming his asylum into solitary confinement, a recognized form of torture. Though the outcome and tangible manner of "exit" referenced by Amores remains unclear at this time, the tone of Amores' statements is decidedly more optimistic than language that has previously been used by the Ecuadorian government to address Assange's isolation. Disobedient Media will continue to report on the matter as the situation develops. 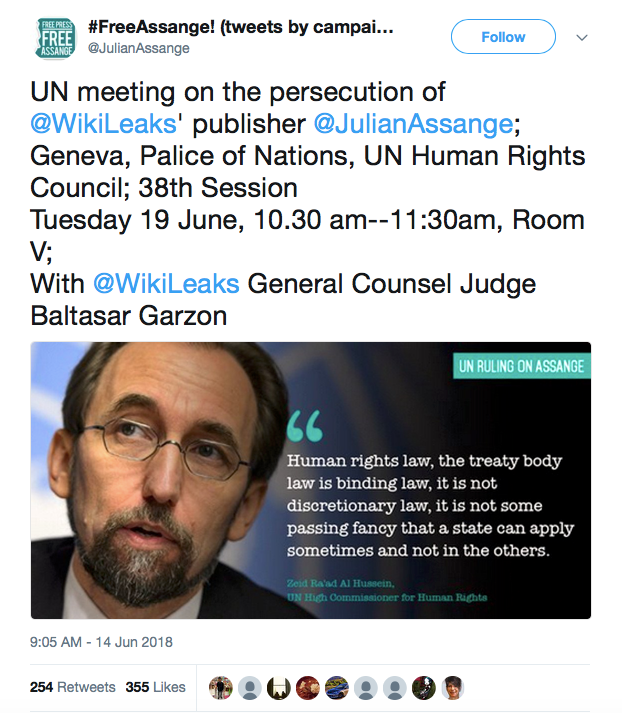 In addition to Amores' statement, the Twitter Account of Julian Assange, which is currently operated by his legal team, has indicated that a meeting on the persecution of Julian Assange would take place in the United Nations Human Rights Council (UNHRC) on Tuesday the 19th of June, including WikiLeaks' general counsel Baltasar Garzon. The date set for the United Nations meeting of the Human Rights Council on the matter is especially significant, as it is set to take place on the sixth anniversary of Julian Assange's entrance into the Ecuadorian embassy in London, which followed two years of house arrest. In addition to the United Nations meeting set for the 19th, there are a wide variety of demonstrations of solidarity with Assange across the globe, and Disobedient Media will provide additional coverage of such events scheduled in the coming days. As Disobedient Media previously reported, public demonstrations of support for Assange have grown in the wake of the Ecuadorian government's decision to cut the journalists connections with the outside world, with actions taken by both ordinary people and prominent figures to call for an end to Assange's isolation and arbitrary confinement. 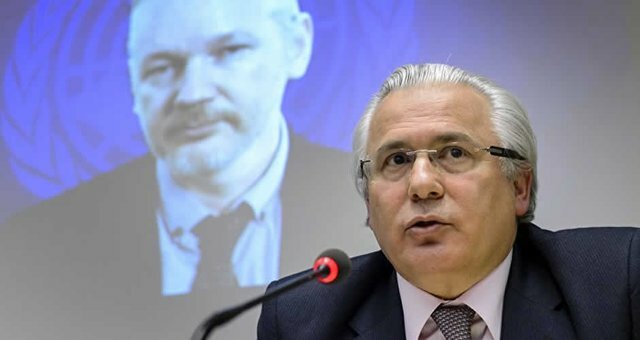 Taken together, the announcement of the UN meeting and the recent statements from Ecuadorian officials have provided Assange supporters a tangible, if cautious cause for optimism. More information on this rapidly developing story can be found on the Courage Foundation's live blog, which is being continually updated in real time. Disobedient Media will also provide ongoing coverage of this important issue as more information becomes available.